Great Tastes Tuesdays! 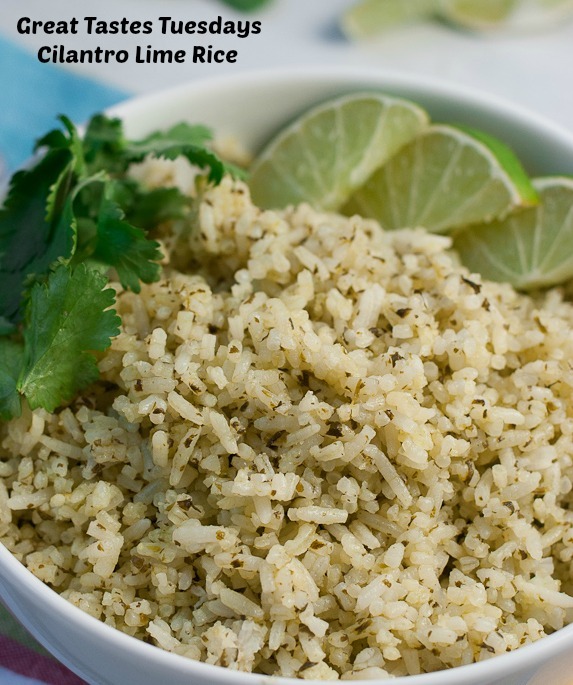 : Cafe Rio Cilantro Lime Rice! Cafe Rio Cilantro Lime Rice! I made this last week and it tasted amazing!!! I would have to say exactly like the rice you get at Cafe Rio! I made the whole meal!! So stay tuned for other recipes to come and get your whole Cafe Rio dish! In a saucepan combine rice, butter, garlic, 1 tsp. lime, chicken broth and water. Bring this to a boil and cover and cook on low for 15-20 minutes until the rice is tender. Remove this from the heat. In a small bowl combine the lime juice, sugar and cilantro. Pour over the hot cooked rice and mix in as you fluff the rice.